Can Personal Bankruptcy Help Me? A bankruptcy case is commenced by filing a petition with your local bankruptcy court. Your petition must include detailed schedules listing all your creditors, and disclosing all your property, debts, income, and expenses. You must also include a detailed summary of your financial affairs for the past several years. The Automatic Stay. The Automatic Stay is an order from the bankruptcy court which compels all your creditors to stop all collection activity immediately. Foreclosures are halted, repossessions, collection calls, bills, letters, wage attachments, utility shut-offs, and enforcement of liens on your property are all stopped dead in their tracks, and sometimes completely “avoided” (undone or reversed). Even lawsuits pending in state courts are canceled. Sometimes the Automatic Stay is not the final solution. Secured creditors, such as home mortgage banks, may be able to obtain permission to resume foreclosure depending on the circumstances. But even in those cases, it gives you an opportunity to dispute contested claims and explore settlement, restructuring or modification alternatives. Click here to learn more about the automatic stay. The Discharge. 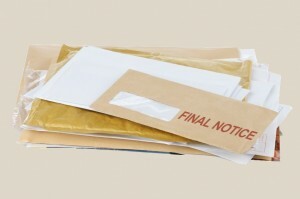 A bankruptcy proceeding releases you from your personal obligation to pay all your eligible debts. At the conclusion of your case, the bankruptcy court issues a Discharge Order, a formal court judgment which is enforceable against all your creditors and must be obeyed even by other courts. Although you are released from your personal liability to pay a particular debt, a valid lien might remain on some of your property. For example, after your bankruptcy case is concluded, if you miss car payments or home mortgage payments, the lender can still repossess or foreclose its lien. See Secured Loans for more information. There are two main types of bankruptcy for individual consumers: Chapter 7 and Chapter 13. Chapter 7 Bankruptcy is a “liquidation” proceeding. In theory, you turn over your assets to a court-appointed Trustee who sells everything and distributes the cash proceeds to your creditors. In practice, however, because you are entitled to claim “exemptions” for your property, most Chapter 7 debtors do not actually give up anything. If you can claim an exemption, you can keep the property. Most of the time, Chapter 7 debtors can exempt all their property. See the Exemption section below for more information. People with “under water” mortgages on second homes or rental property they want to modify. Modify mortgages on real estate that is not your residence, such as vacation homes or rental property. If any of those situations apply to you, click here to learn more about Chapter 13. Exemptions – What property can I keep in Bankruptcy? You can claim either a federal or state scheme of exemptions if you are a Massachusetts resident, but not both. The Massachusetts scheme allows you to exempt up to $500,000 of your residence, and all your IRA’s, 401(k)’s and qualified pension assets, but is more limited when it comes to household goods, tools, furniture, jewelry, etc. The federal scheme, on the other hand, is more generous in exempting most household goods, furniture, clothing, and jewelry, but is not as generous as to homestead. We will help you chose the best exemption scheme to protect most or all of your property. Click here to learn more about exemptions. A Chapter 7 case is usually opened and closed in about five months. A Chapter 13 case will be open for at least 36 to 60 months. Do I have to go to court or testify? Usually not. About a month after you file, there will be a “meeting of the creditors” which is presided over by the court-appointed trustee. The trustee conducts the meeting in a large conference room, not a courtroom. The trustee will ask you questions about your petition and financial affairs, and you must answer truthfully, but your lawyer will help you prepare beforehand and will be there to assist you. If any creditors appear, they can ask questions too, but this is very rare. In 2005, Congress was concerned that some wealthy people or high wage-earners were discharging all their debts in Chapter 7 (and thus paying nothing to their creditors) even though they could have repaid some of their debts in a Chapter 13 plan. This was seen as an abuse of the system. So, the bankruptcy reform act of 2005 required bankruptcy filers to submit a form called the “Means Test” which determines whether your income is too high for you to file a Chapter 7 case. In general, if your income is below the state average, you are eligible to file a Chapter 7 case; and if your income is above the state average, you must file a Chapter 13 case. There are exceptions, however, and even if your income is above the average, you can still file a Chapter 7 case depending on how much disposable income you have each month; or if you have “special circumstances” (such as special medical expenses, nutritional needs, or care for an elderly parent, etc). If you are above the state average, we will help you determine if you can still file under Chapter 7 by analyzing your disposable income and exploring your special circumstances, or help you design and file a workable Chapter 13 plan instead. Click here for more detailed information on the Means Test. Yes. There are debt repayment programs, consumer counseling agencies, debt settlement agencies, “consolidators,” “agregators,” loan modification programs, and the like. During your initial consultation, we will explain these alternatives and help you explore if any of them can help you. If we determine you are a candidate, we can refer you to one of the legitimate agencies in the area that may help you. But beware, many of the agencies you find on the internet or late-night television are scams. Before you pay any money or sign any contracts, make sure you check them out with the Better Business Bureau or other credible resource. We can help you avoid these scams as well. We offer a free initial consultation, so there is no cost or obligation to come in and talk to an experienced bankruptcy lawyer to see if bankruptcy is right for you. Click here to contact us by email, or call 508-485-4500 today to schedule your no obligation free half-hour initial consultation with an experienced bankruptcy lawyer. Click here for our simple two-page questionnaire to complete before you come in, it will make the initial consultation more productive.